Plenty of technology goes into a successful oil or gas business – advance exploration tools, the latest drilling equipment, secure storage systems, and efficient transportation are the first things that you might picture. In the 21st century, though, you also need advanced computer systems and software to keep an edge over the competition, just like any other modern business. Here are some ways that the latest tech is helping the oil and gas industry. 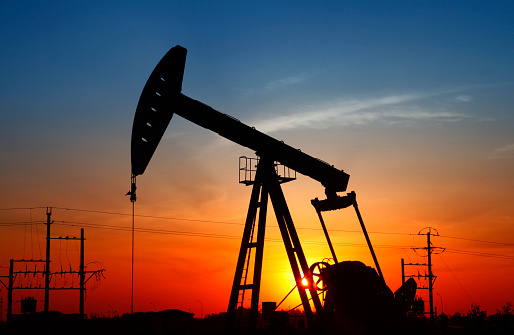 The energy business is characterized by massive capital projects for exploration, extraction, refining, storage, and distribution of oil and gas. Building this infrastructure as efficiently and cost-effectively as possible can be a make-or-break proposition in the industry. Having smart IT systems to track construction (and later the maintenance) of all of the machinery and equipment needed is critical. By orchestrating the maneuvering of people, tools, and equipment around a construction project, you can eliminate inefficiencies and finish a project on schedule and on budget. The biggest benefits of the latest IT systems in the oil and gas system are probably found in the day-to-day functioning of the extraction and processing systems. This is actually a great example of how the “internet of things” – where nearly everything is connected to the internet somehow – can really benefit a business. Sensors can monitor the state of equipment more effectively (and safely) than people can, and with the right predictive analytics, you can perform maintenance before a system fails and when it fits into the production schedule. You can also track the location of people and physical assets, so that the right expertise and tools can be called on more efficiently when needed somewhere on the site. The latest wearable and mobile technologies facilitate this. The emergence of drones and robots is another example of new technologies creating capabilities that didn’t exist previously. Drones can inspect systems that humans can’t reach, and specialized robots can perform tasks that are either too dangerous for people or just simply routine and possible to automate. Note that these new technologies don’t necessarily eliminate jobs. They just change the skill sets needed to run an oil and gas operation. The retail side of the oil and gas business shouldn’t be overlooked. Digital tracking of customer activity can help tailor the retail experience, with targeted ads at gas pumps for example. Knowing which customers typically stop at the convenience shop is also helpful, whether it is for a snack or auto supplies. That can let you provide real-time deals that might increase customer loyalty. People typically stop at gas stations based on price and convenience, but improving the customer experience even a modest amount can make a difference in those on-the-fly buying decisions. Having the IT systems in place for those functions can be critical to customer retention. Like any other large multinational, oil and gas companies can benefit from more efficient operations in the office, not just on the drilling rigs. This means having the latest accounting, HR, and program management tools among other things. It also means having the best IT platforms, combining cloud, mobile, and enterprise systems to meet the specific needs of the company. In the energy sector, there are additional challenges of highly volatile pricing in the marketplace and of international operations – including in some challenging geopolitical areas. Energy companies need to be nimble, which is not trivial at the scale they need, so the best IT systems throughout the company are essential. Haxxess Enterprise Corporation is the trusted choice when it comes to staying ahead of the latest information technology tips, tricks, and news, whether in industrial applications or in any other field. Contact us at (705) 222. -TECH or send us an email at info@haxxess.com for more information.